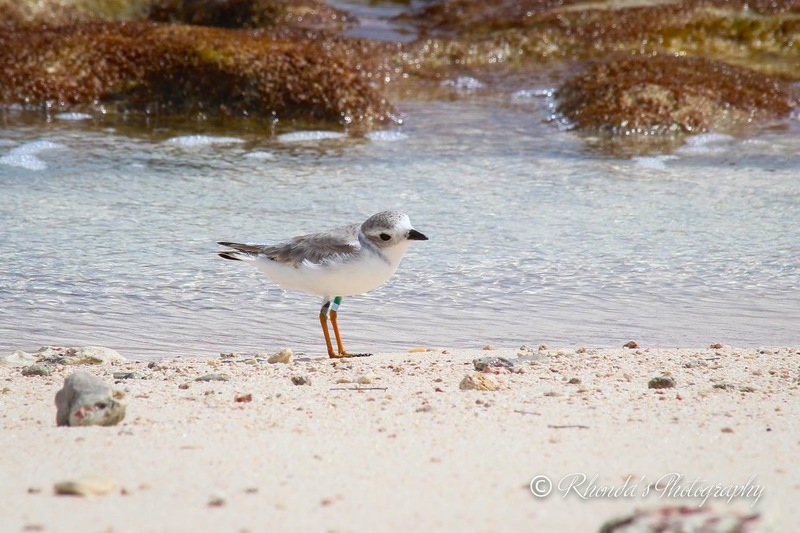 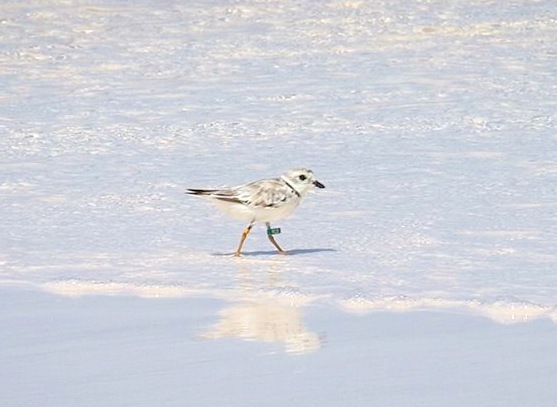 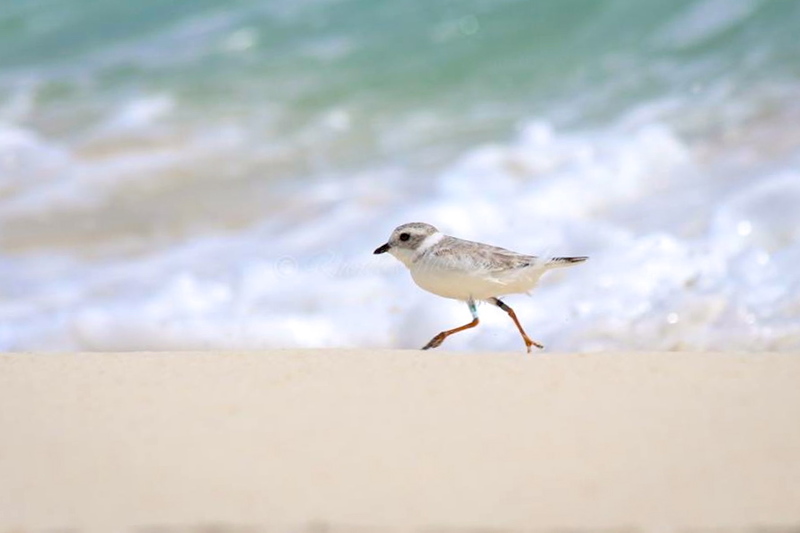 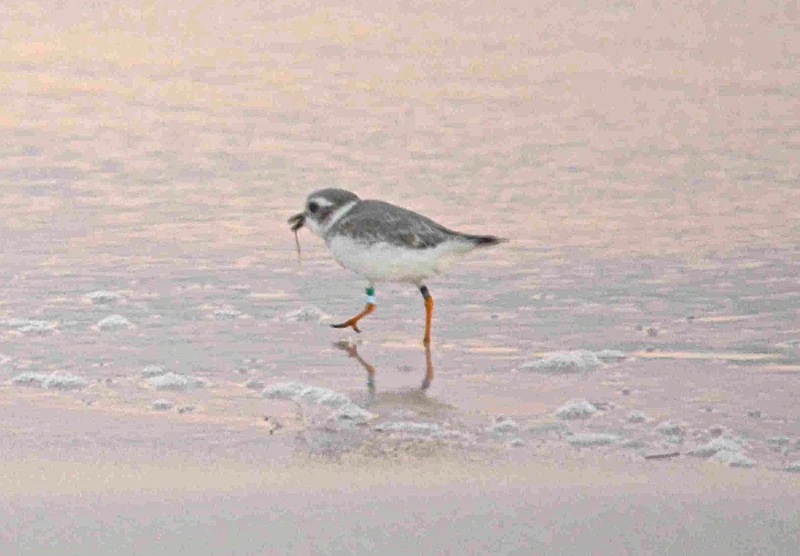 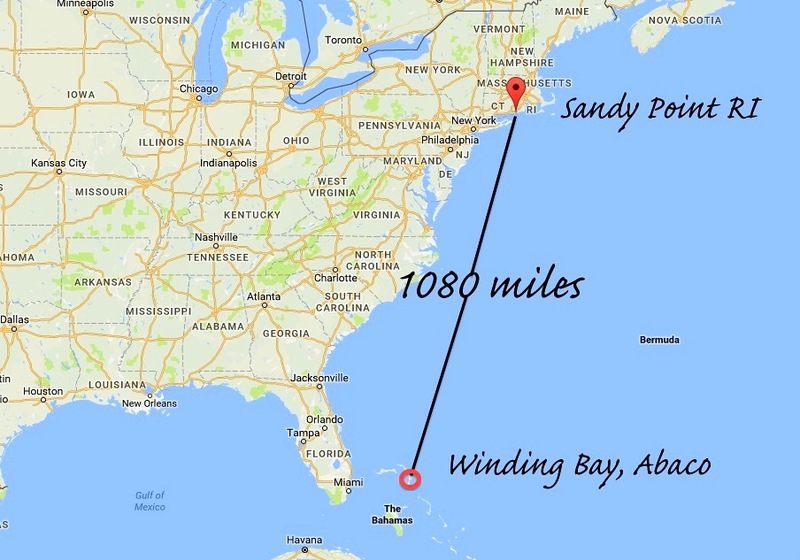 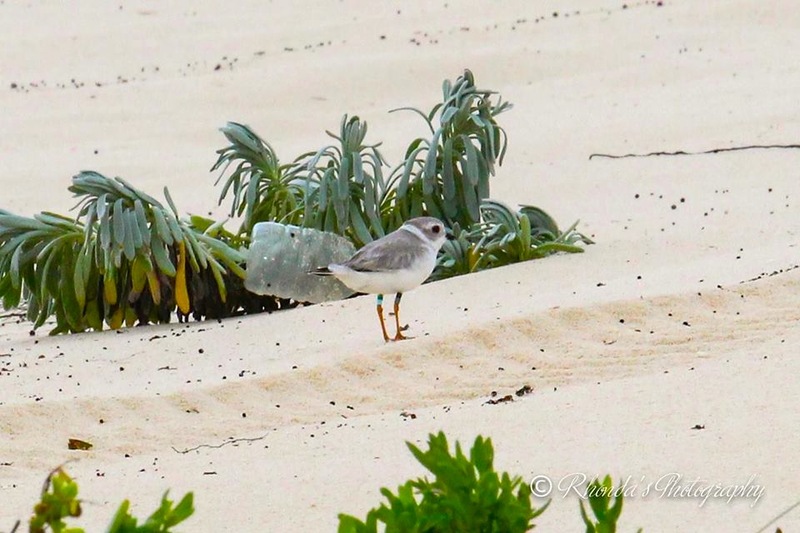 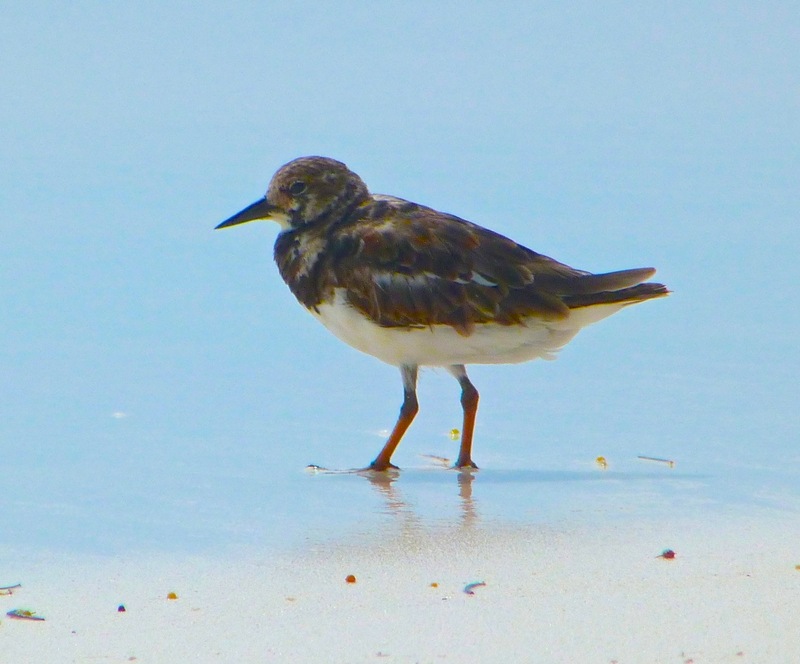 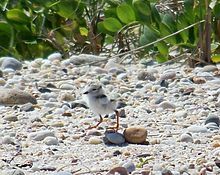 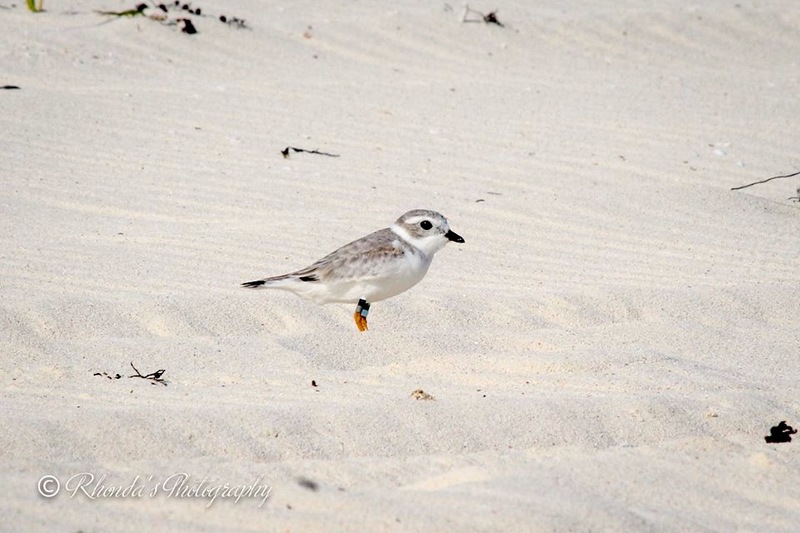 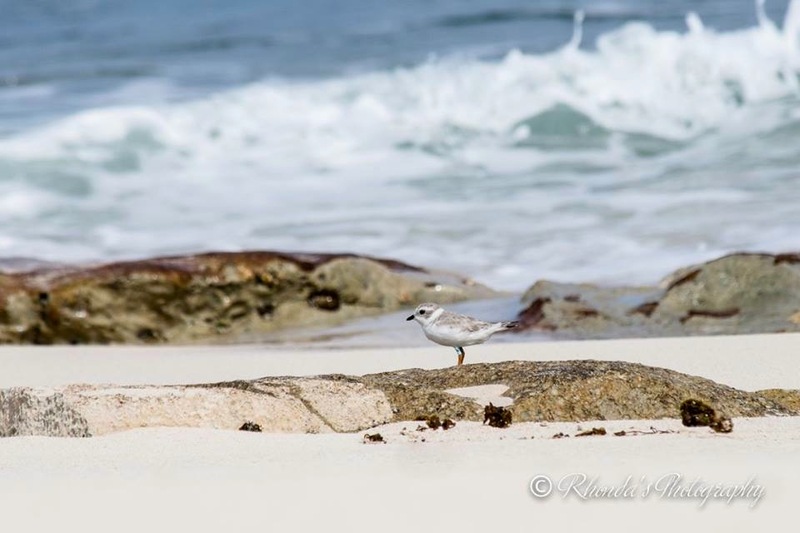 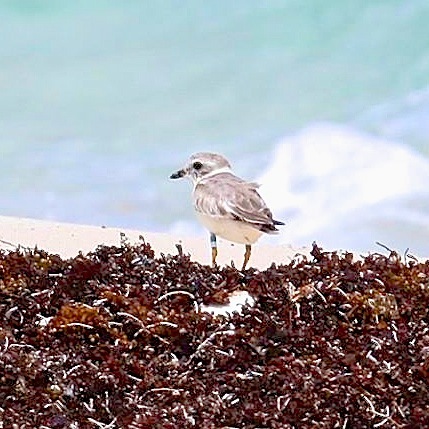 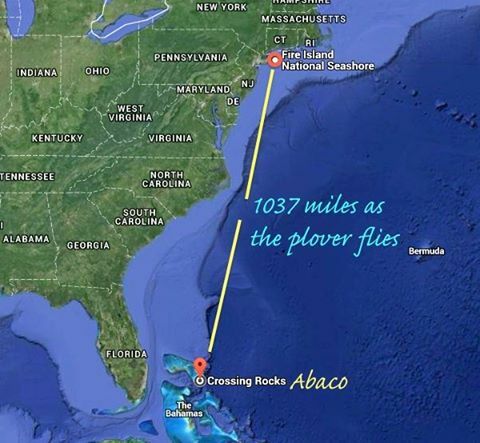 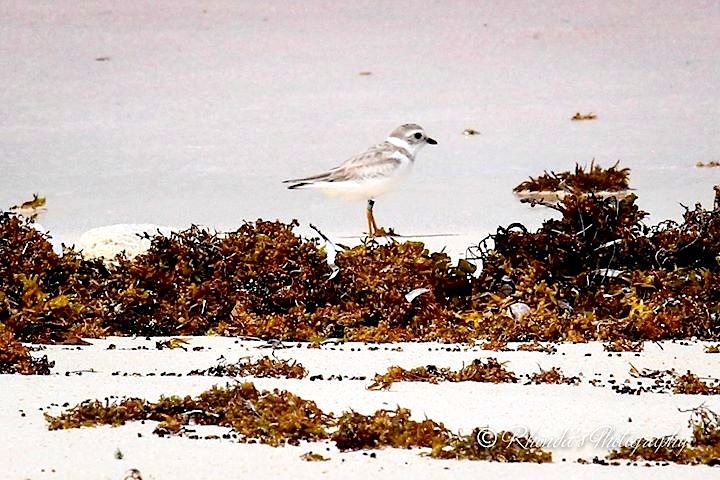 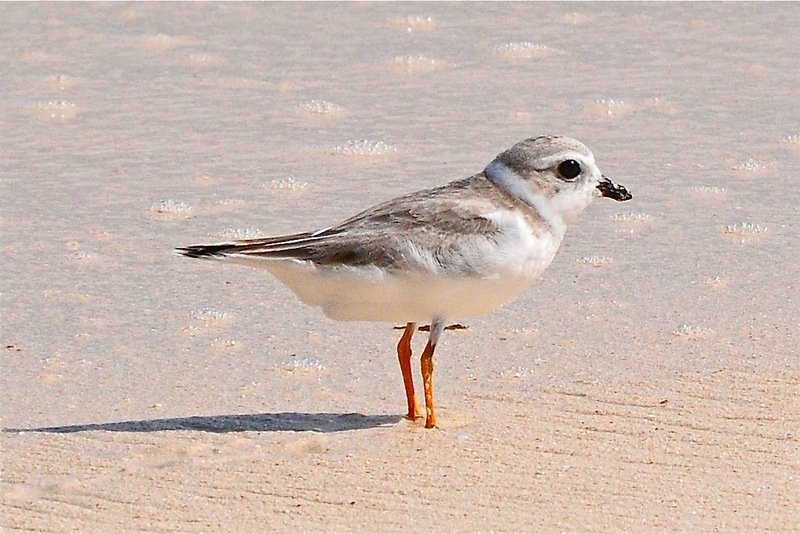 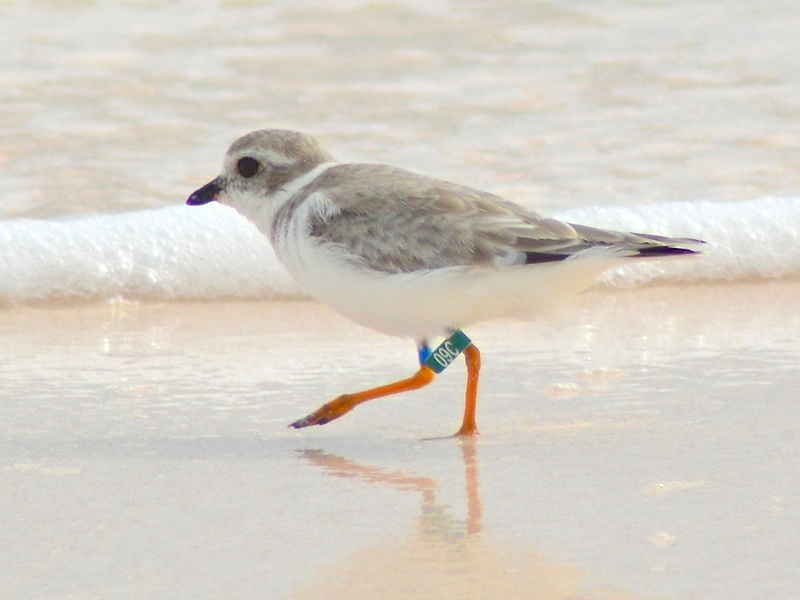 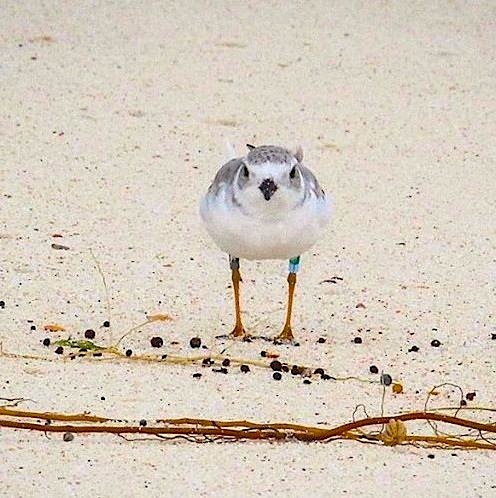 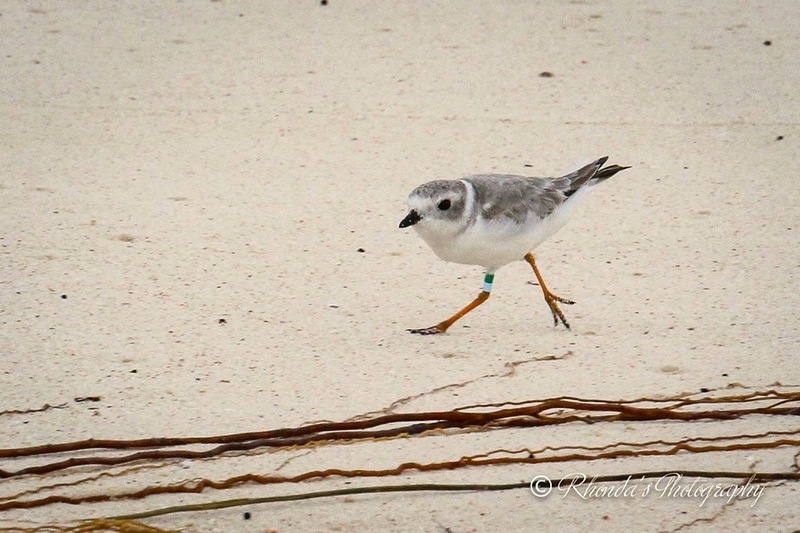 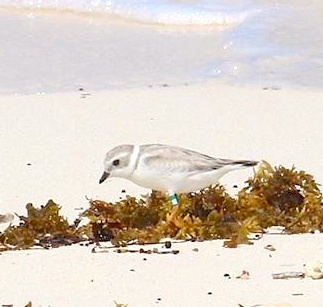 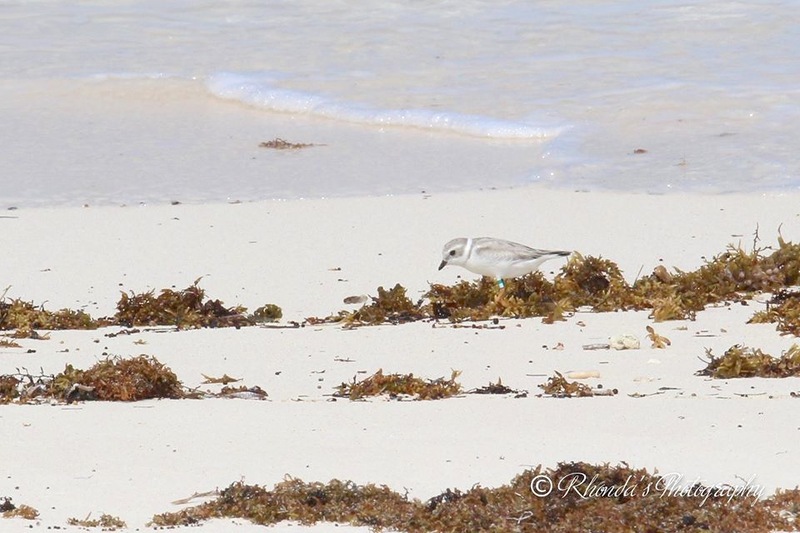 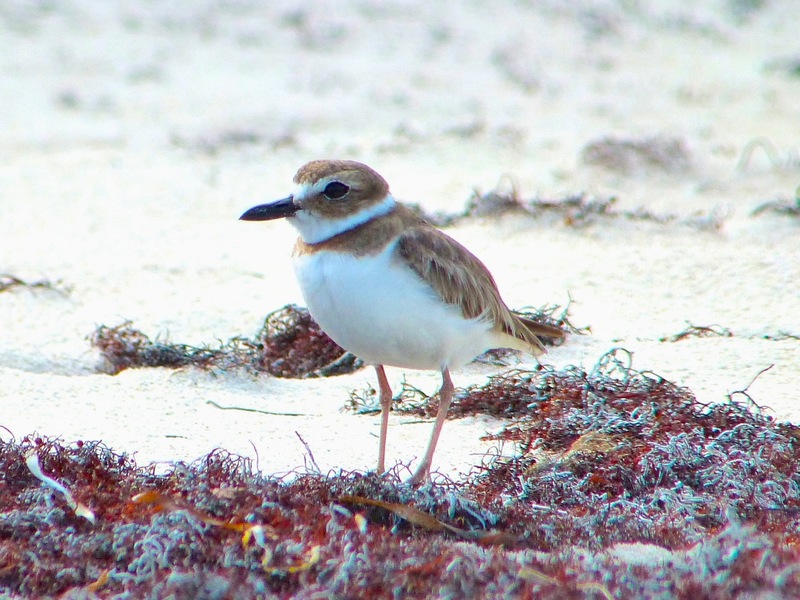 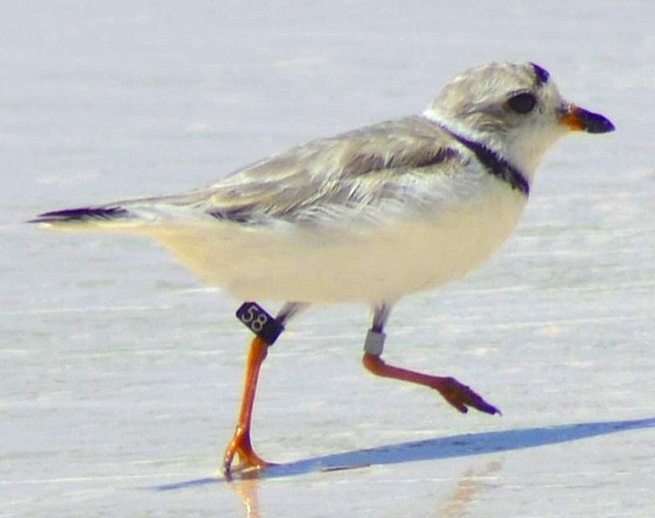 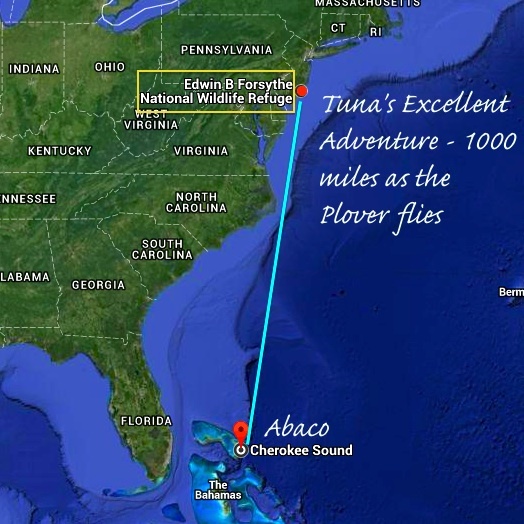 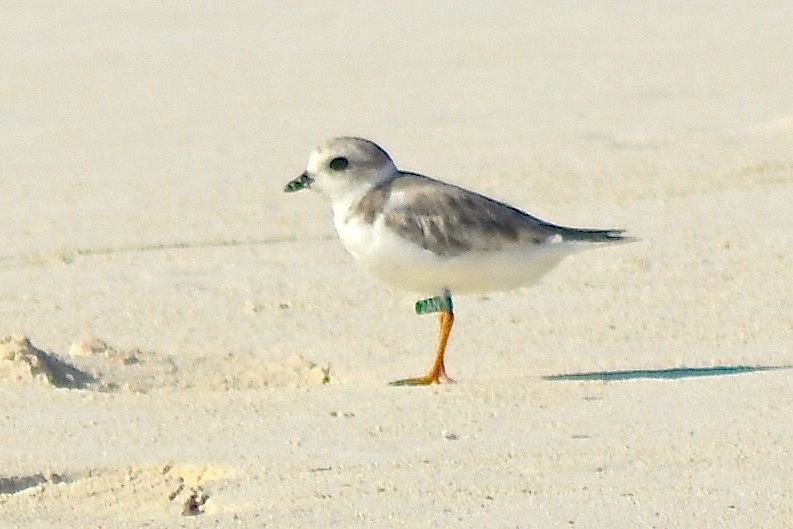 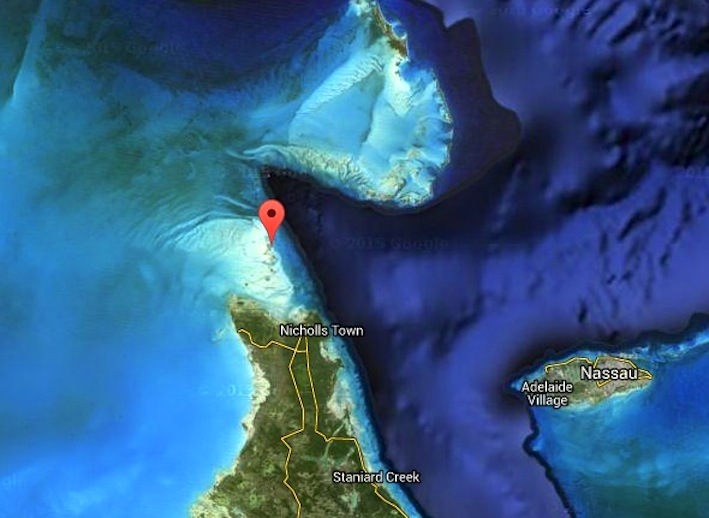 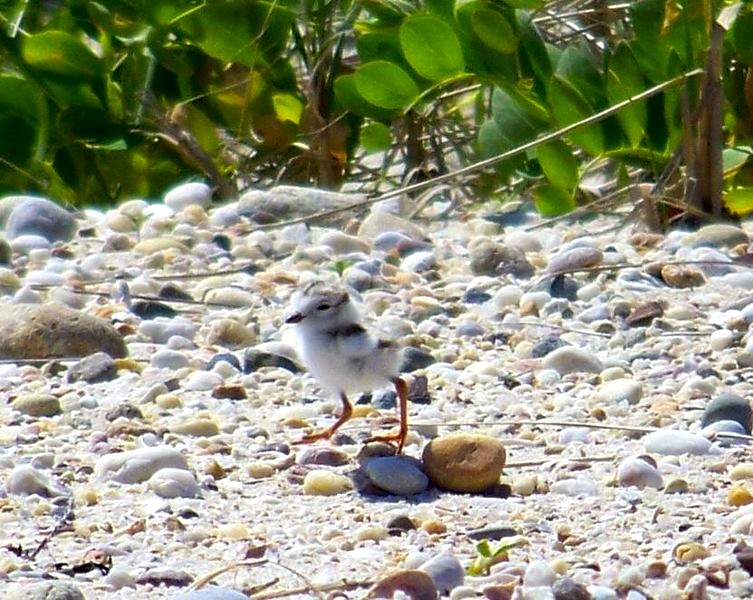 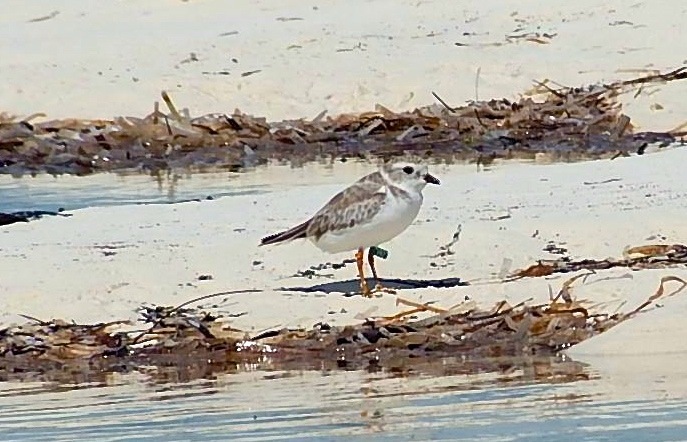 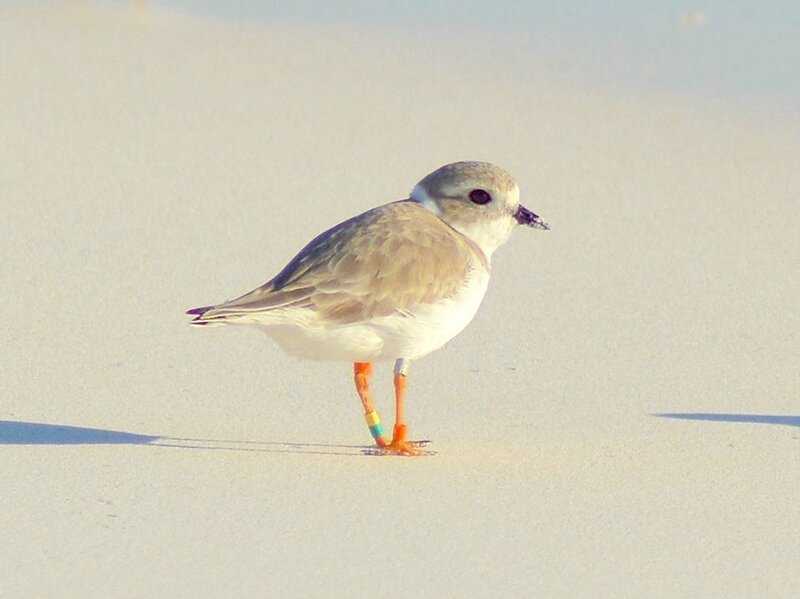 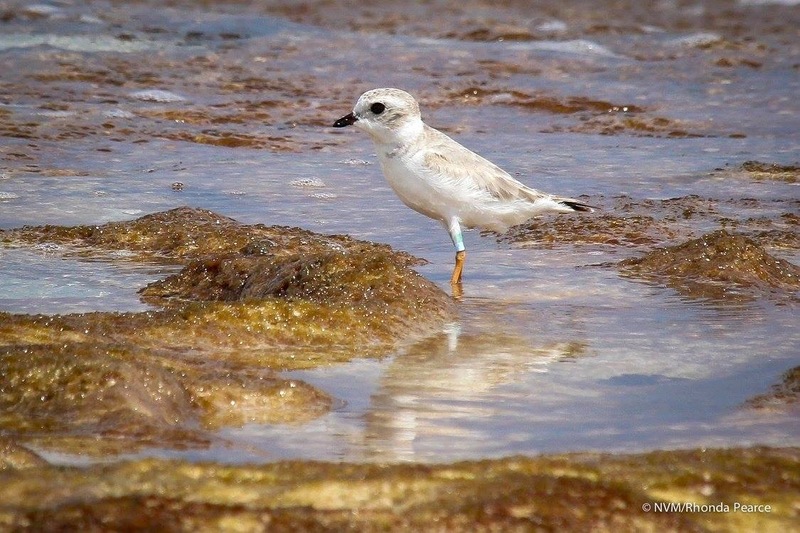 PIPL ON ABACO I shared this wonderful video from the reliably excellent CONCH SALAD TV on my FB page, but it’s such a great 15 minutes worth of Piping Plover information that I am including it in this post, not least because many of the the subscribers are different. 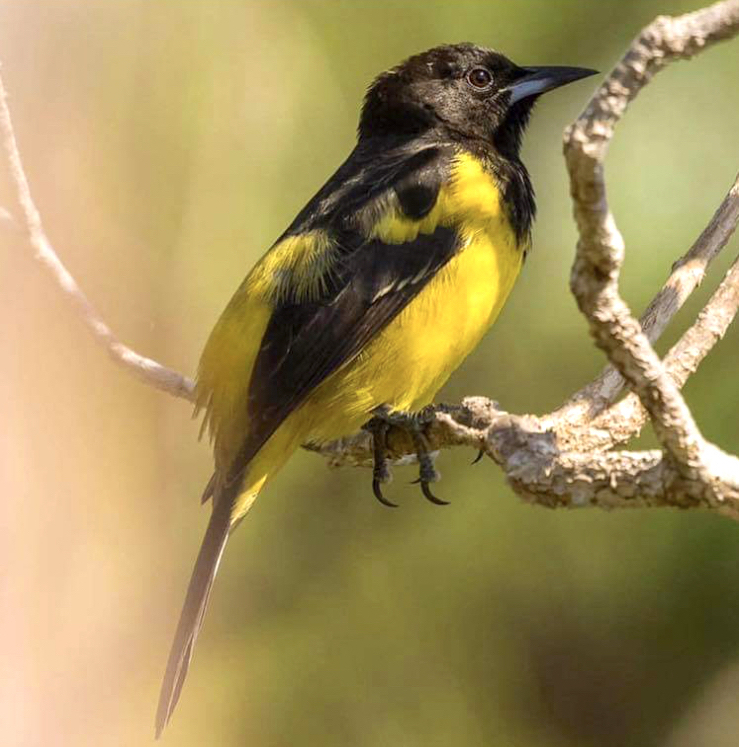 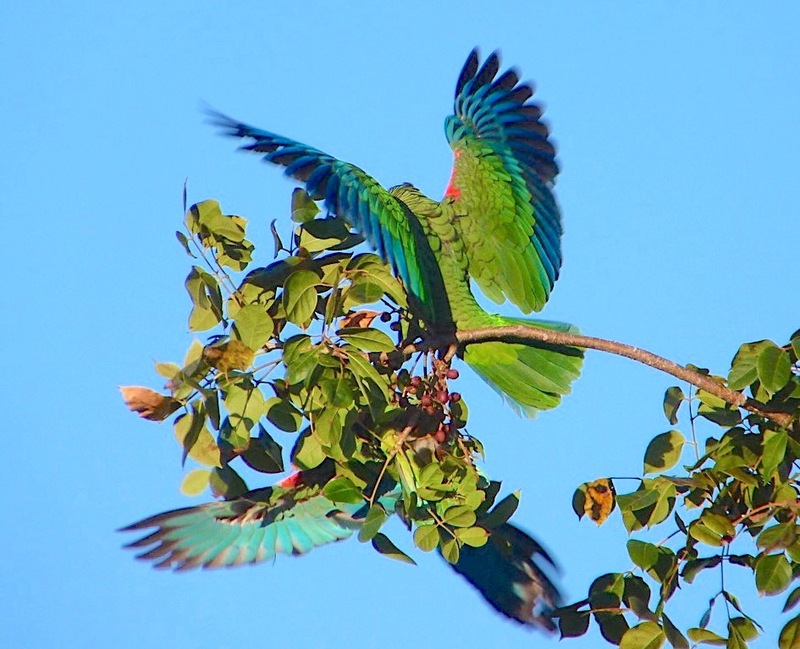 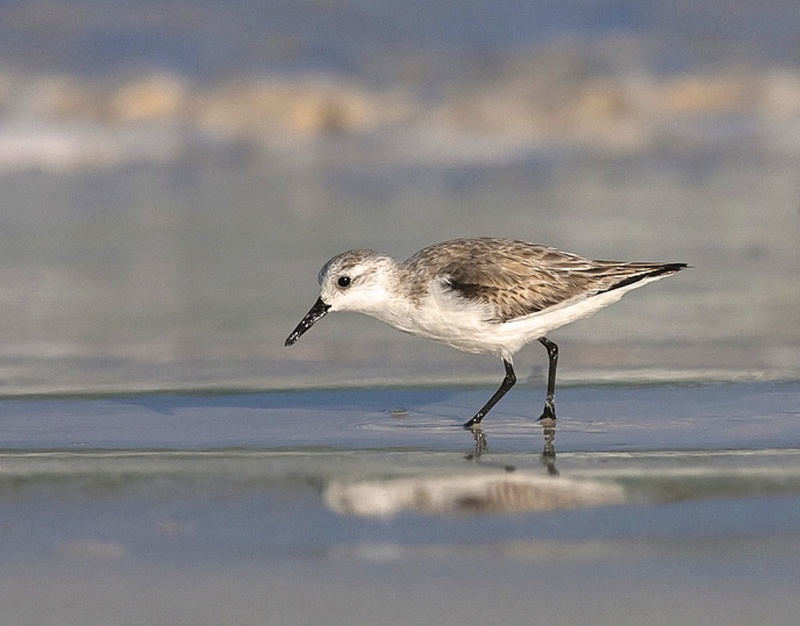 The Bahamas in general and Abaco in particular are favoured by these delightful but rare and vulnerable birds for their winter habitat (sensible creatures). 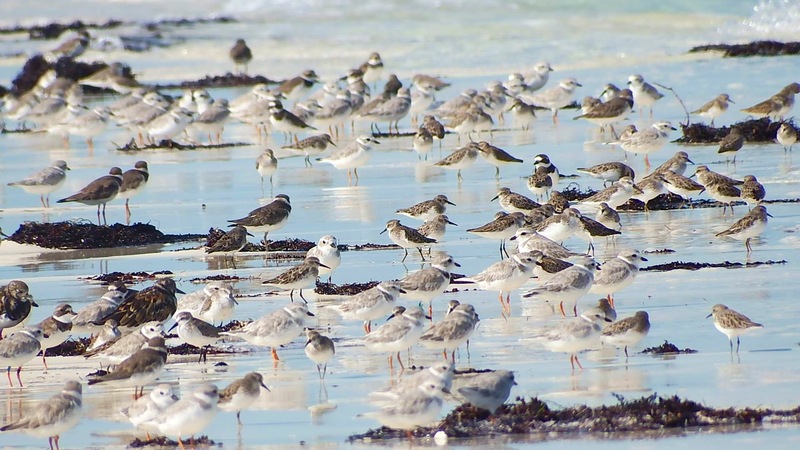 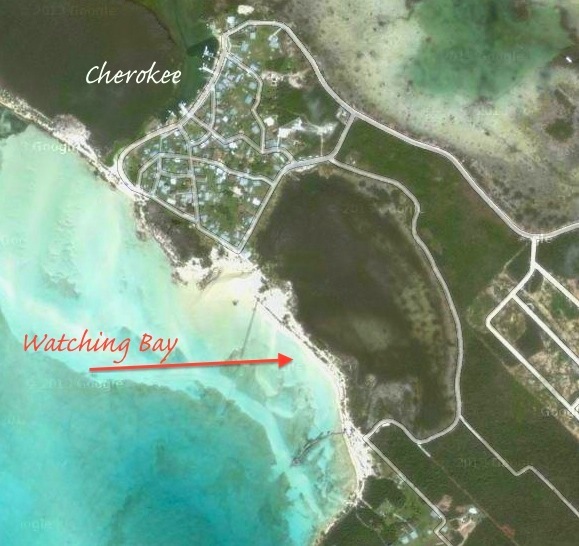 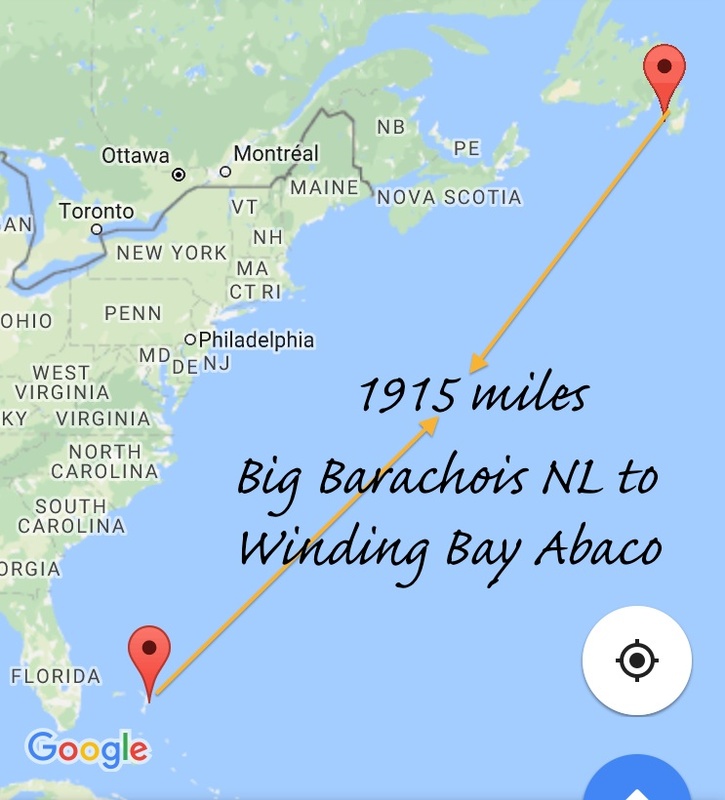 If you can spare 15 minutes and are interested in the importance of Abaco as a vital component in the conservation of migratory birds, do watch the video. 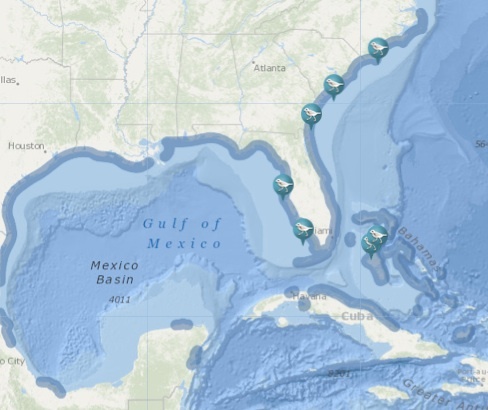 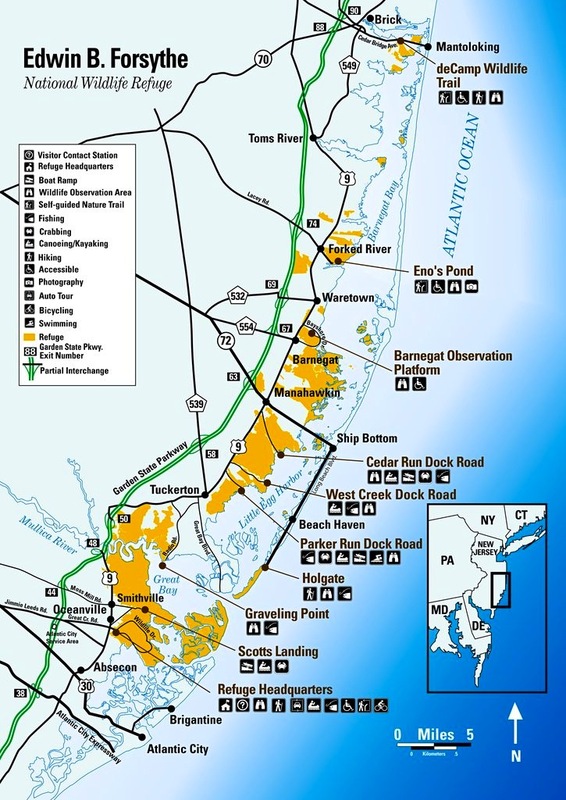 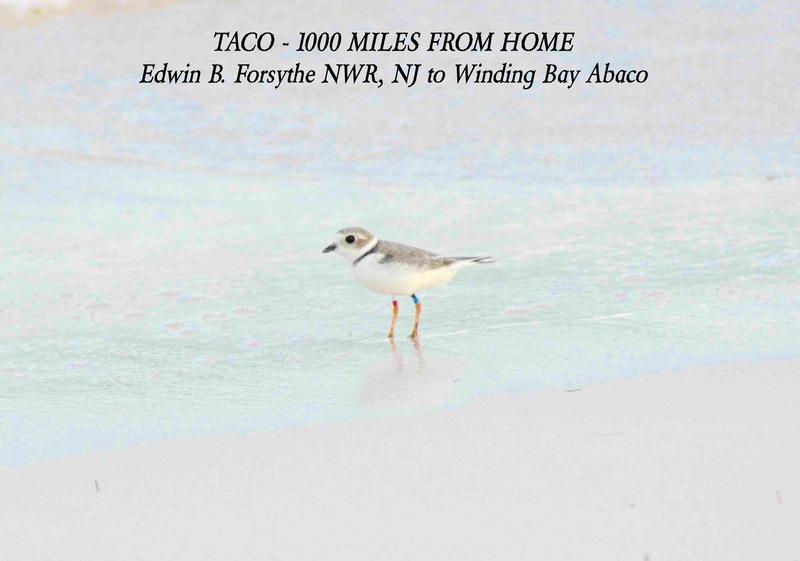 Presenters include Todd Pover and Stephanie Egger of CONSERVE WILDLIFE NEW JERSEY, David Knowles of the BNT and Olivia Patterson of FOTE (Friends of the Environment, Abaco). 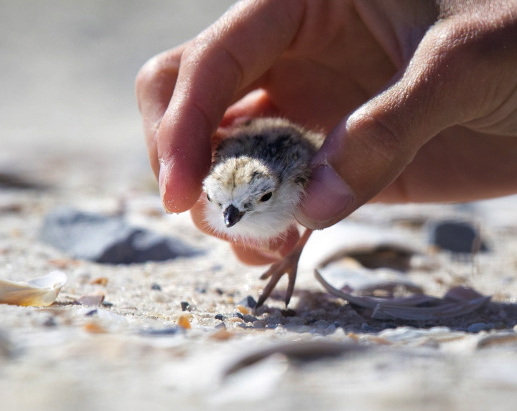 One of the most heartening features is to see the responses of the young children who were encouraged to participate in the project, and who take to it with huge enthusiasm. 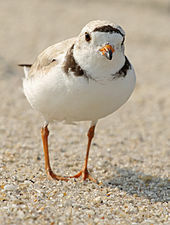 The PIPL in this post all have two things in common. 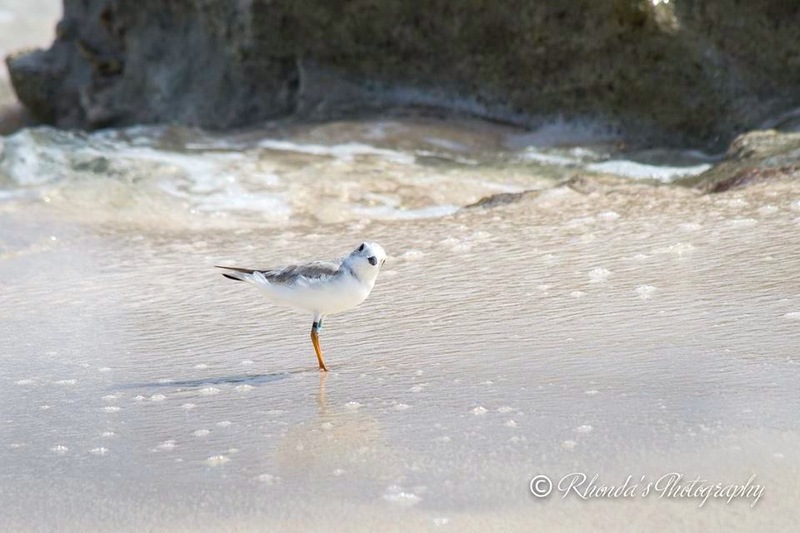 The wonderful photos are all taken by Danny Sauvageau; and all of the birds are differently ringed, reflecting their various summer habitats. 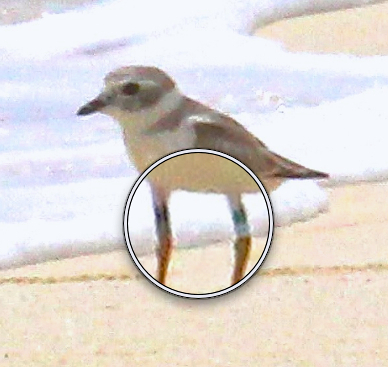 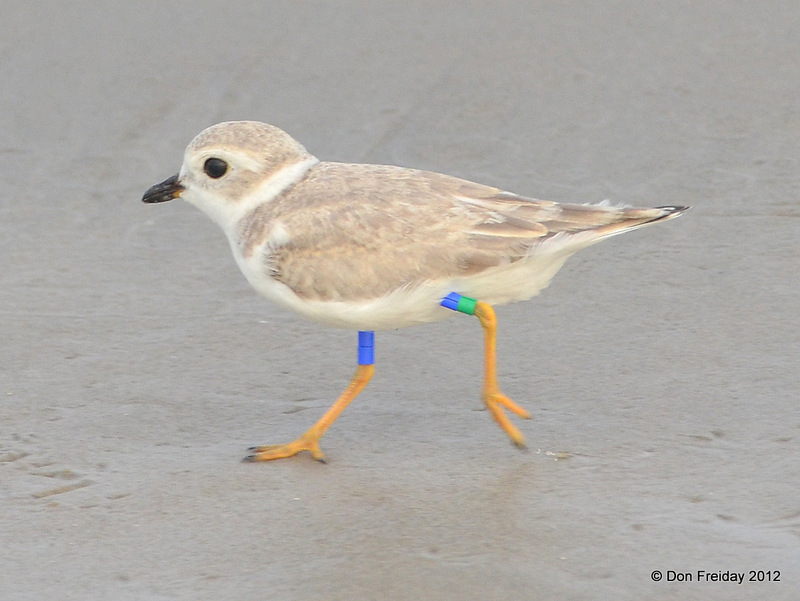 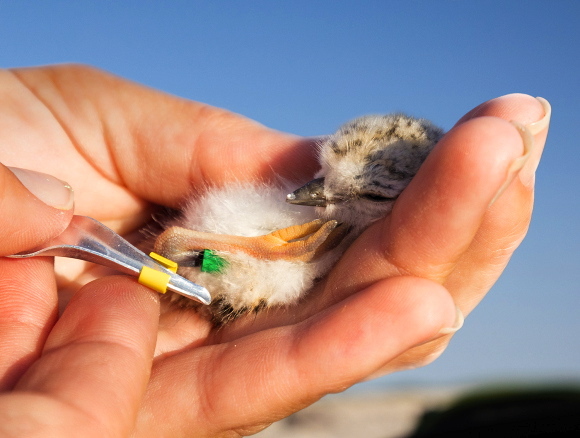 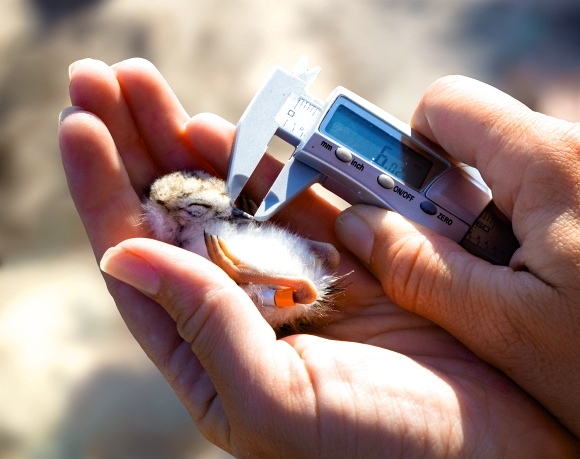 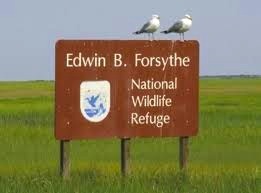 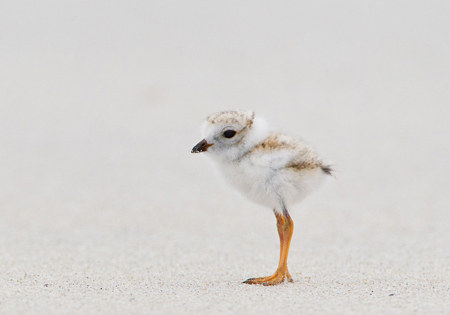 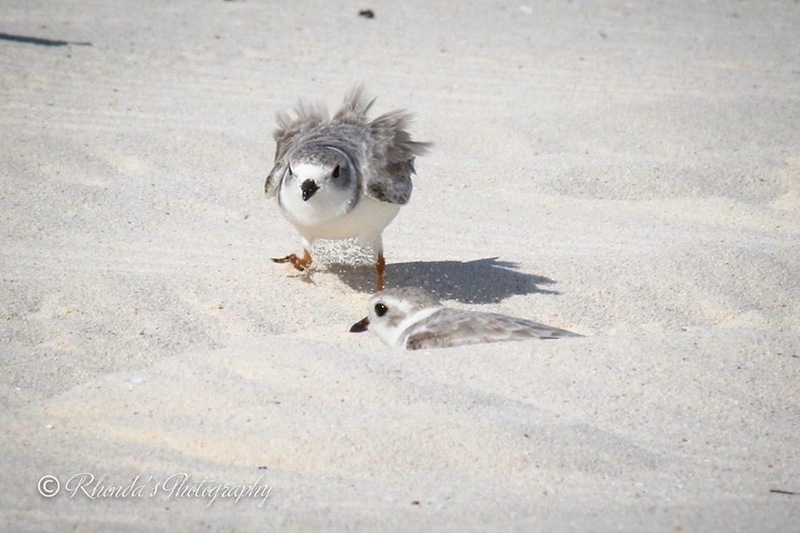 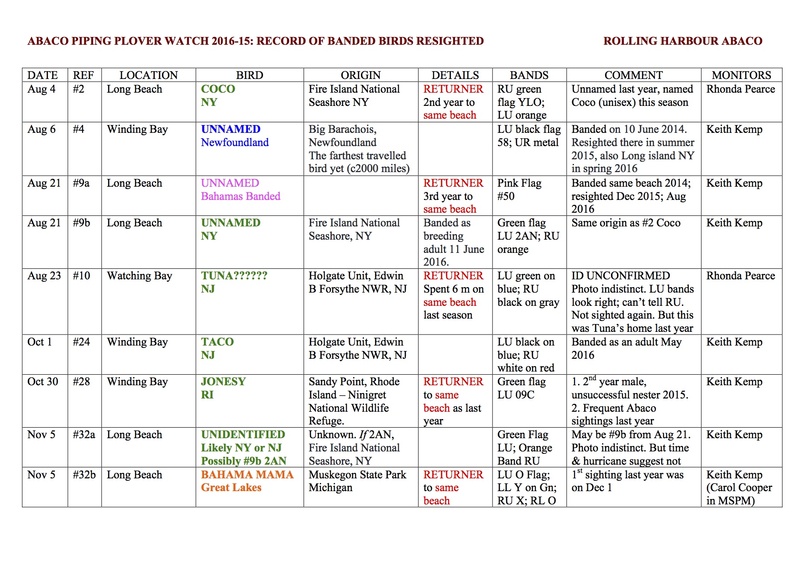 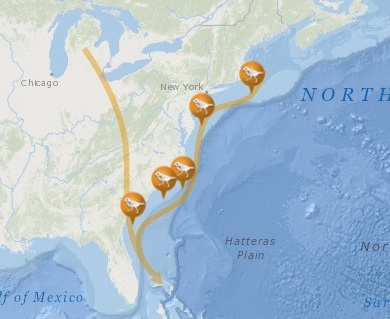 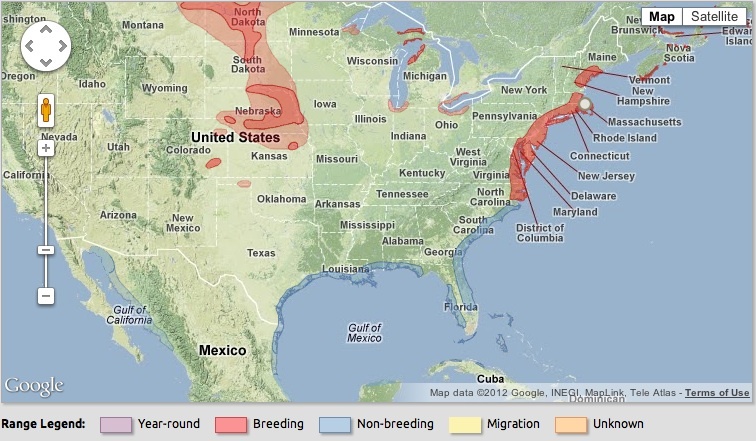 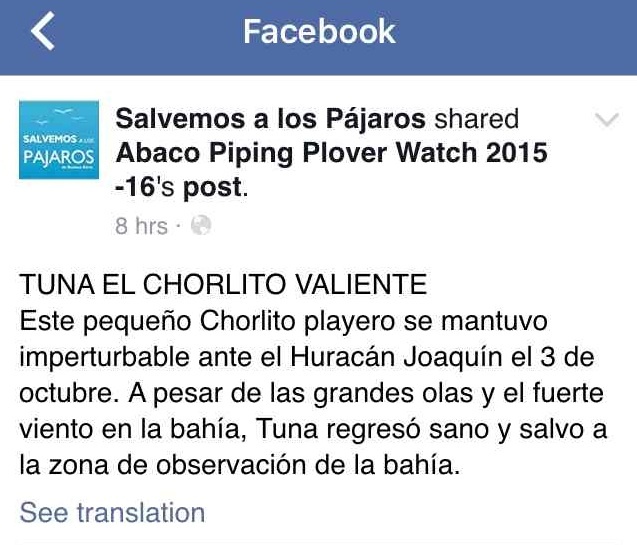 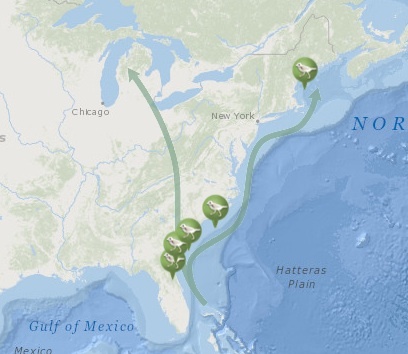 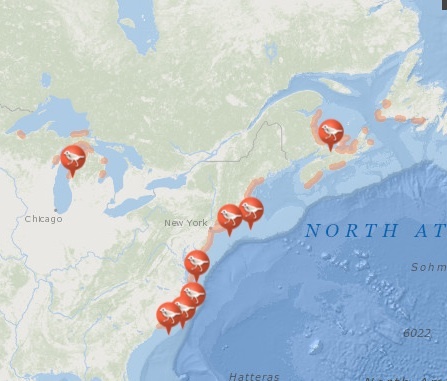 So this brings me to Danny’s Kickstarter project “Saving Endangered Piping Plovers through Photography”. 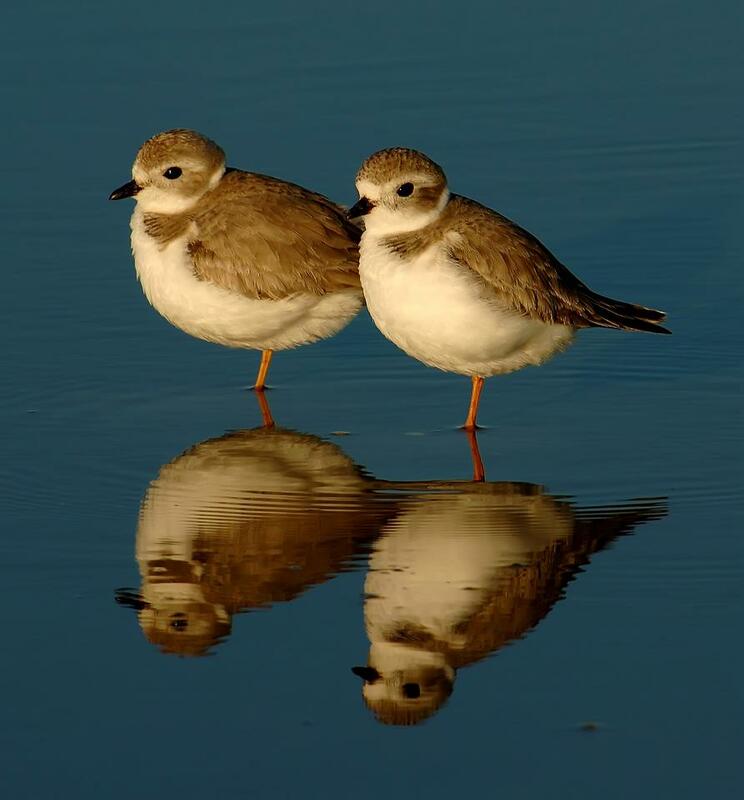 He has put together a superb presentation explaining his project, and how his photography in prime PIPL resting areas during their migrations back and forth can help to map and complete the picture of this vulnerable species to enable their protection. 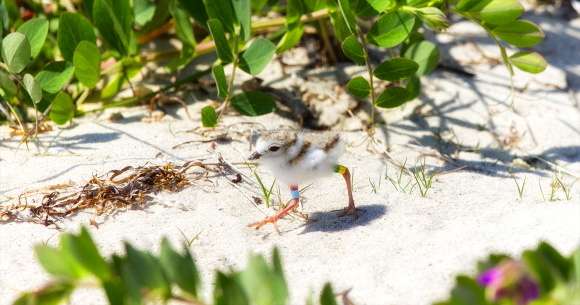 You can reach Danny’s film by clicking the link DANNY’S FILM (there’s no obligation to go further and contribute) and you will see some fabulous footage of these little birds scuttling around on the beach, looking enchanting; and the commentary will explain the importance of the the birds and the research into their conservation. 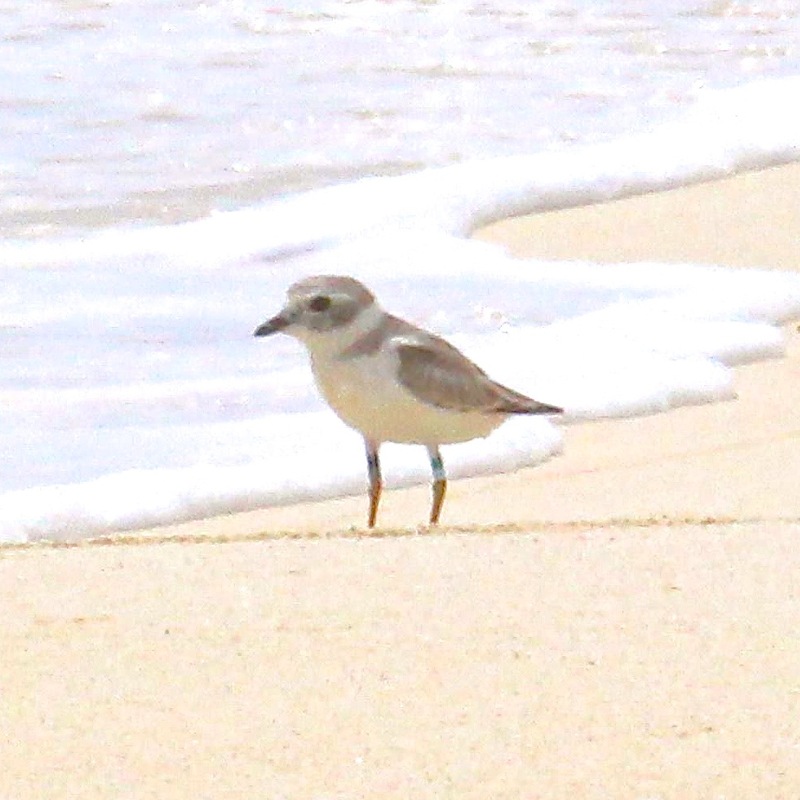 ZOOM…! 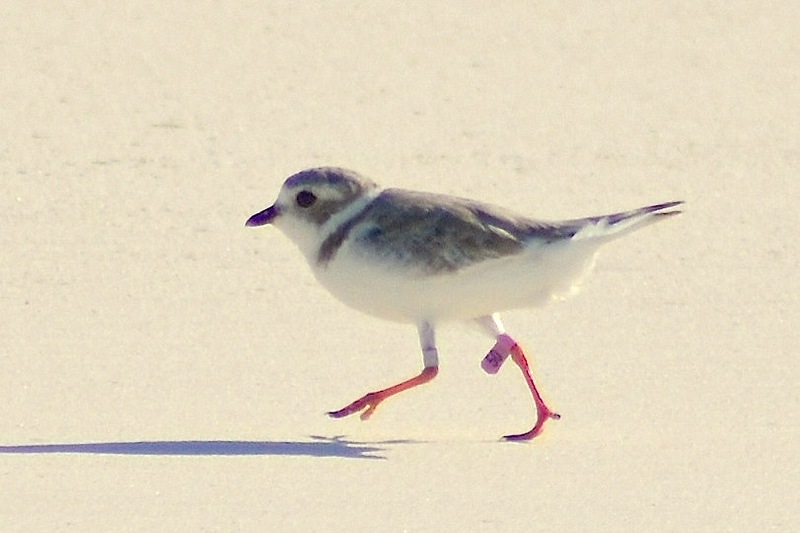 Capable of running at astonishing speed over short distances. 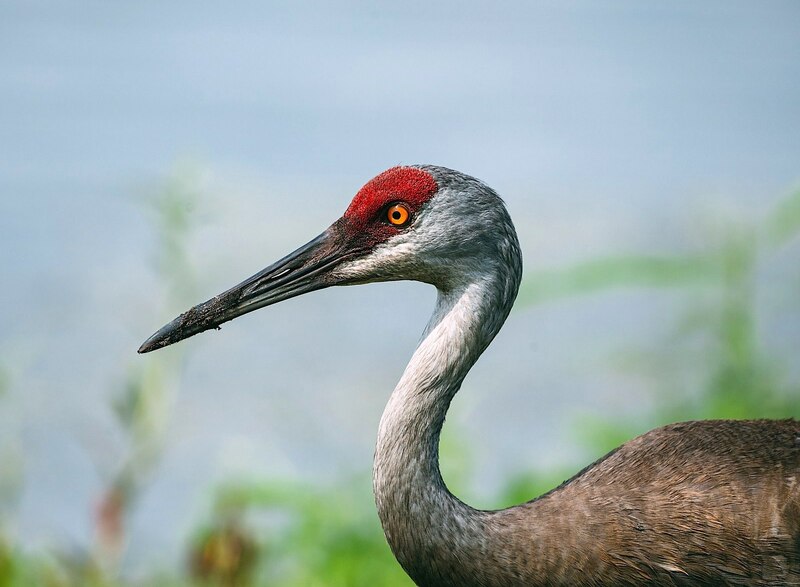 When they stop, they often snap the head back and forward. 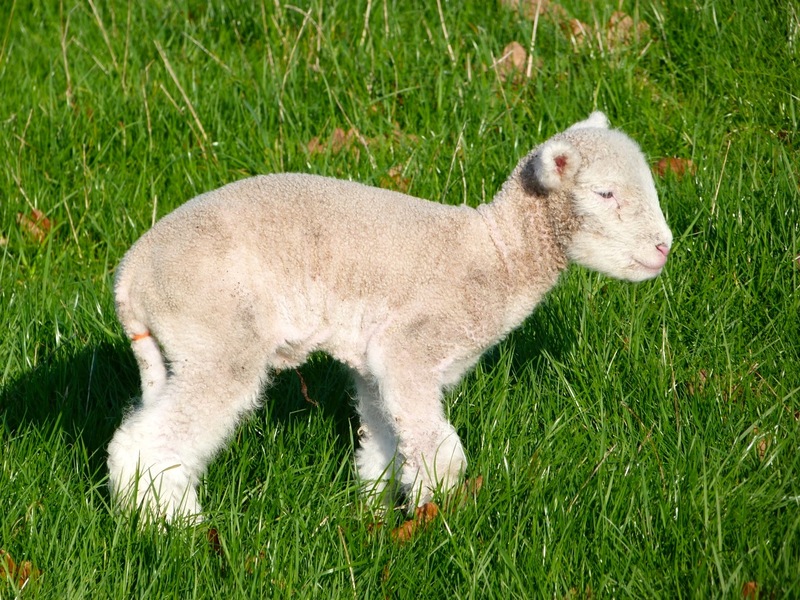 If this video doesn’t make you smile at some stage, I suspect a SOH bypass and / or your ‘anti-cute’ setting is jammed on. 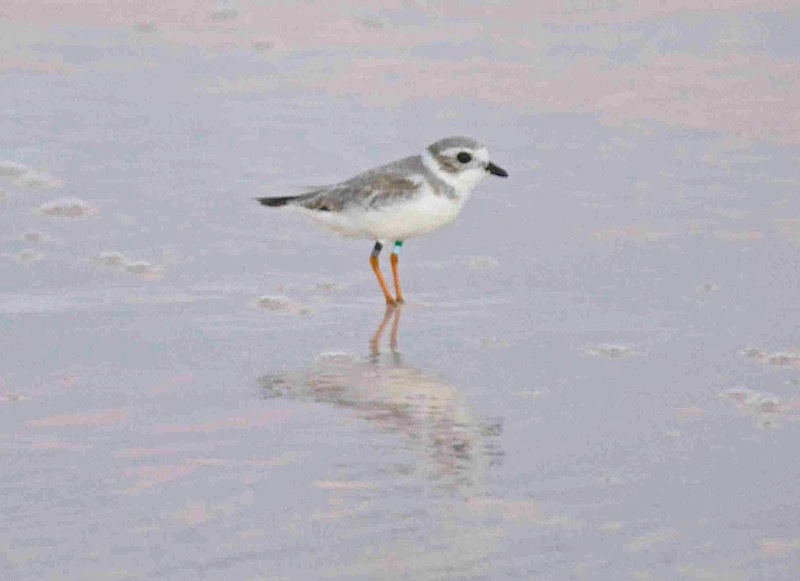 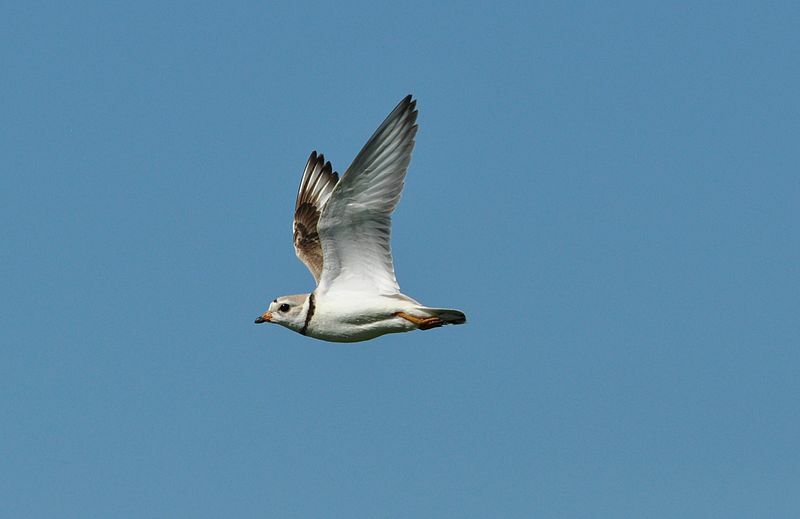 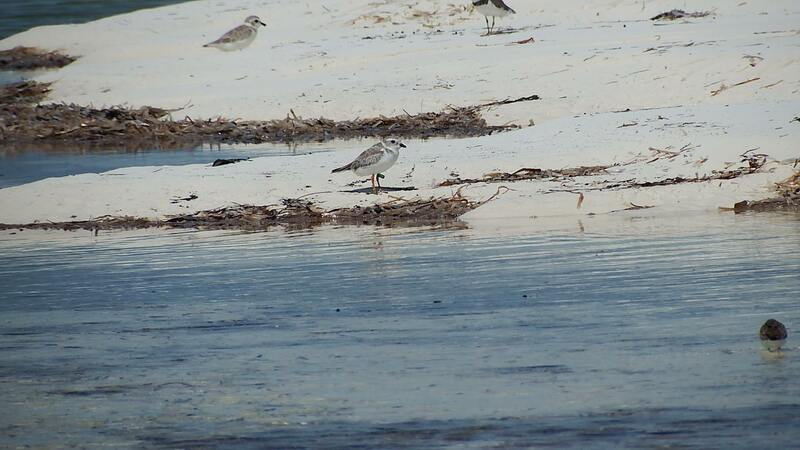 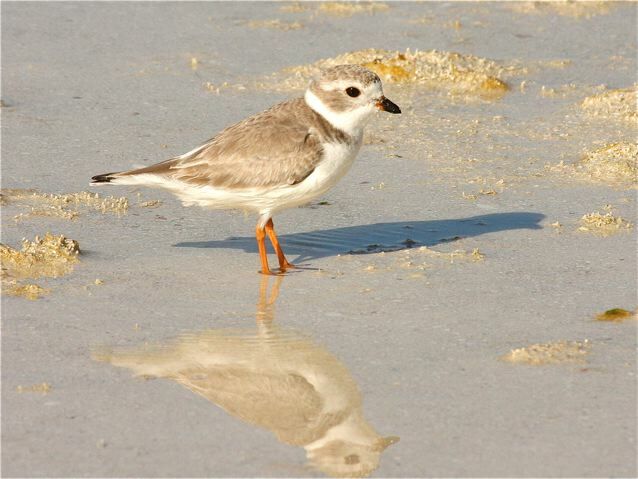 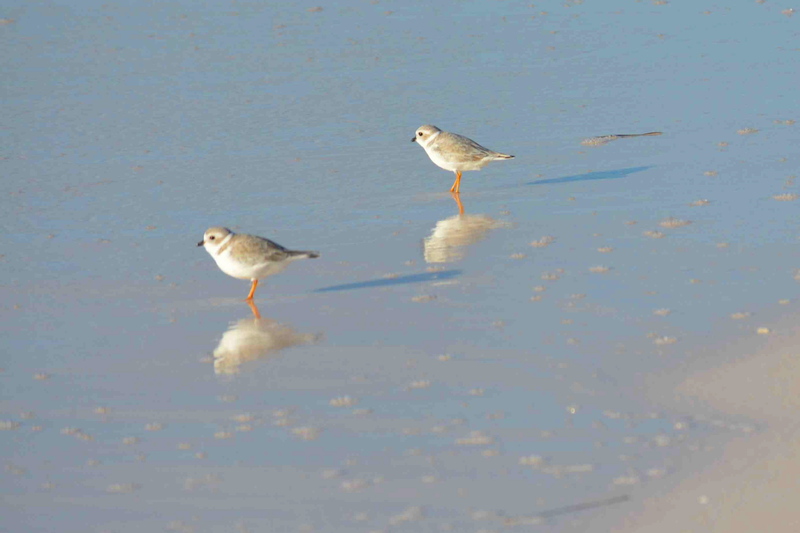 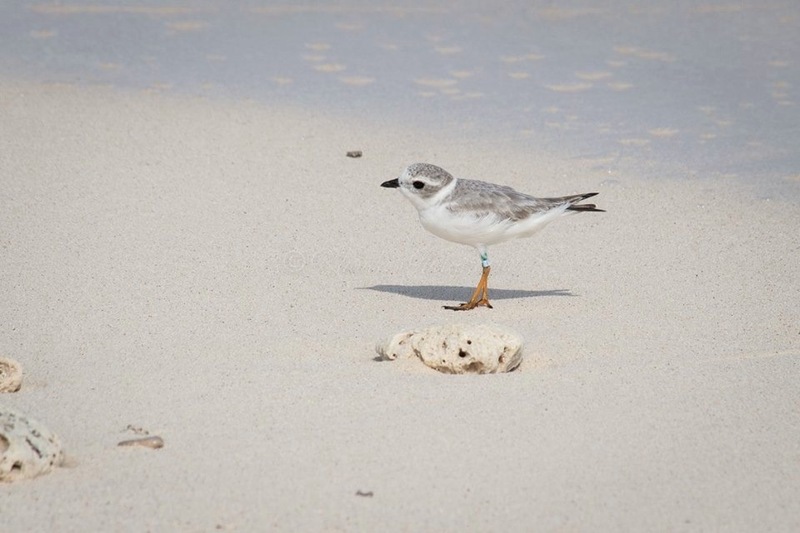 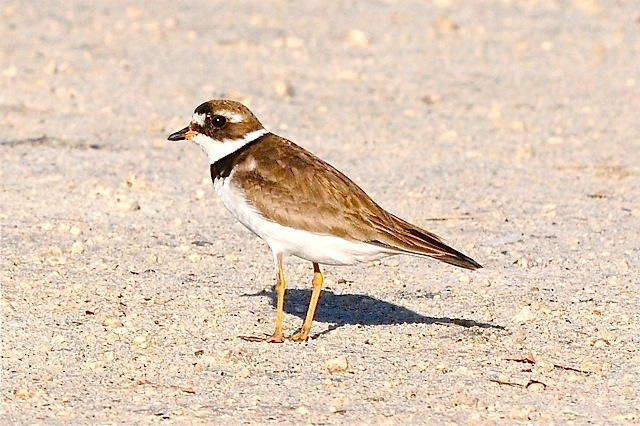 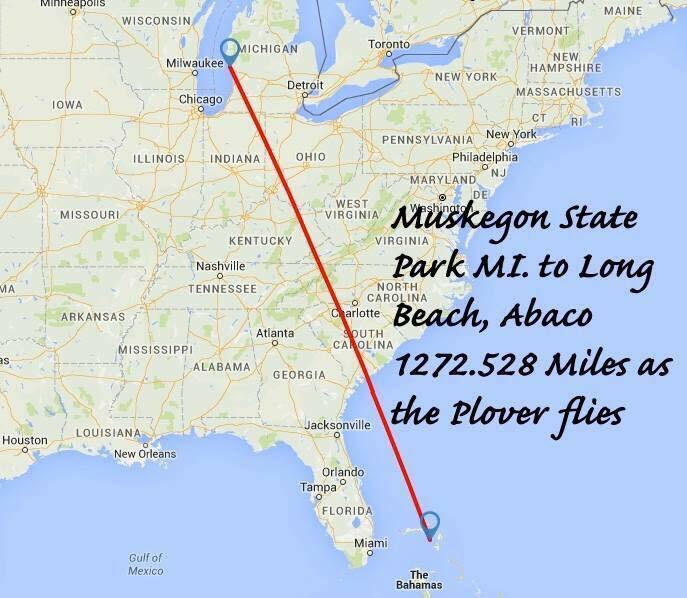 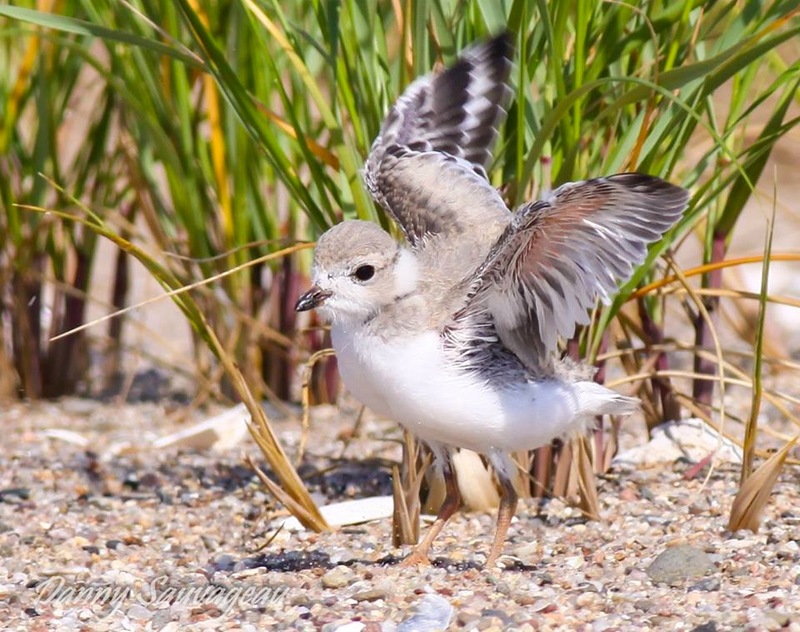 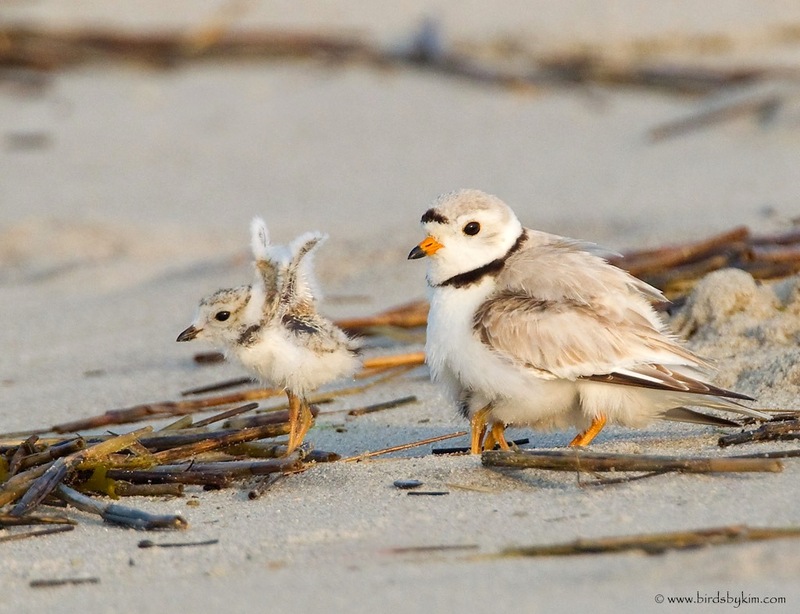 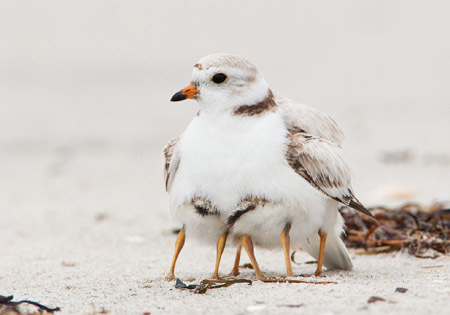 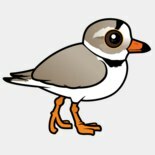 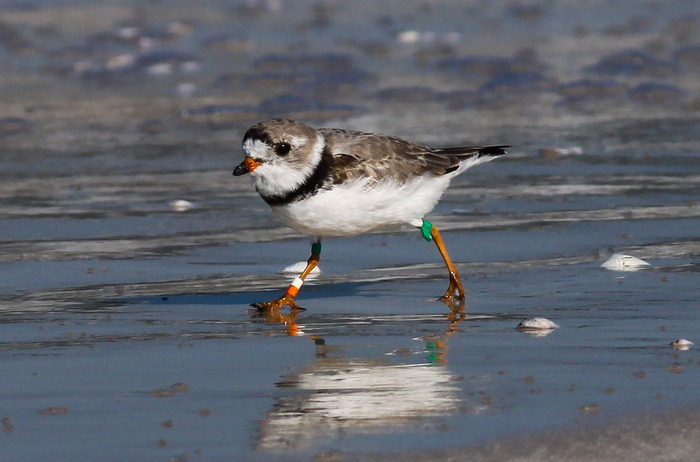 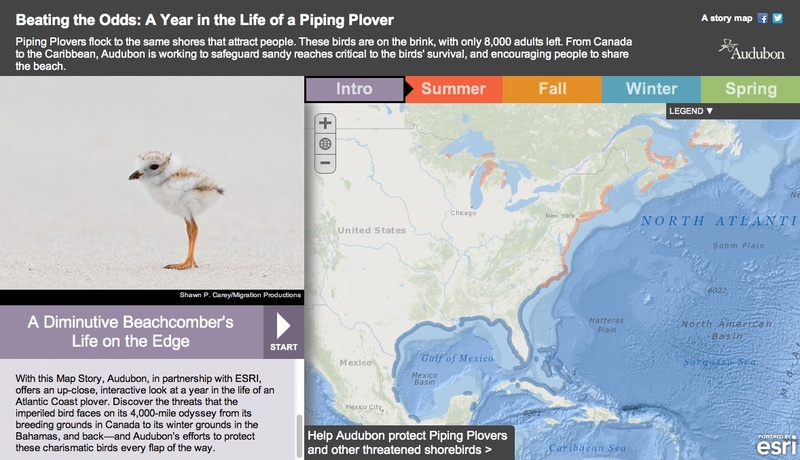 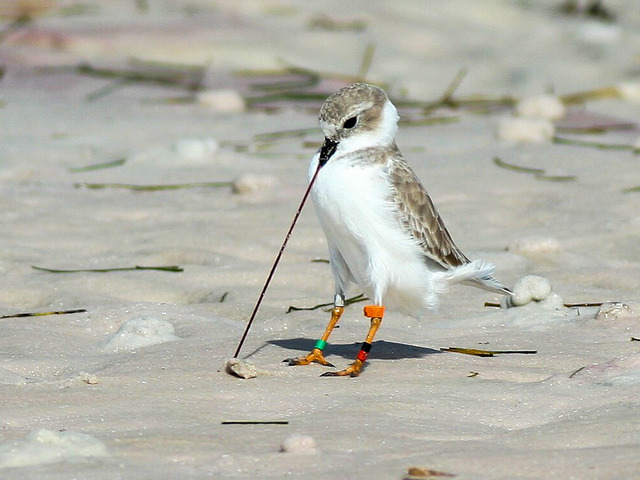 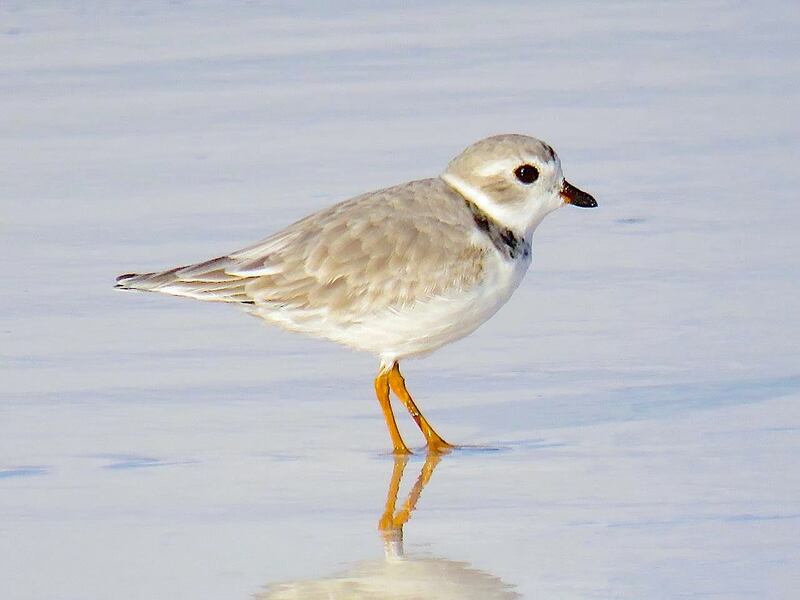 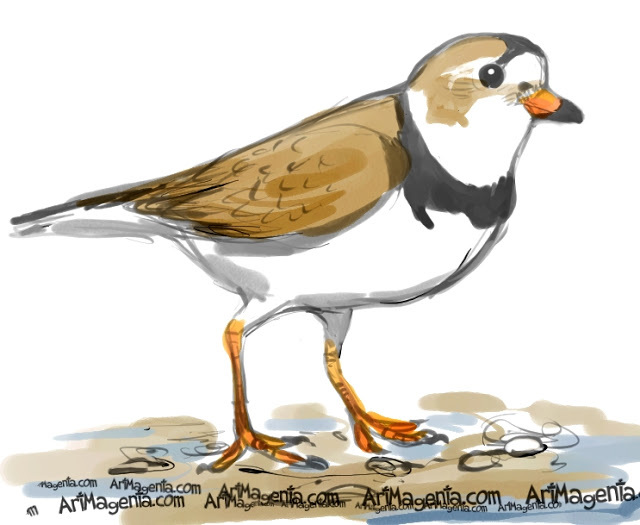 Even so you’ll see the differences between the piping plover and the more familiar Wilson’s plover.